Looking for artwork for Geomon101!! A place to discuss Geomon101 and the Geomon app! If you've made any cool drawings or designs, or anything related to a specific Geomon you can email me at notoriouspug@geomon101.com or post them here and I'll be adding the best of the best to Geomon101.com! Let's see what you got! Help me keep Geomon101.com up to date! Re: Looking for artwork for Geomon101!! Very cool artwork, and the first "Agent Artwork" to go live on the site! yay! where can i go to c it on the sight? RaineyAlphaWolf wrote: yay! where can i go to c it on the sight? Hey, cool stuff! Keep the ideas flowing! 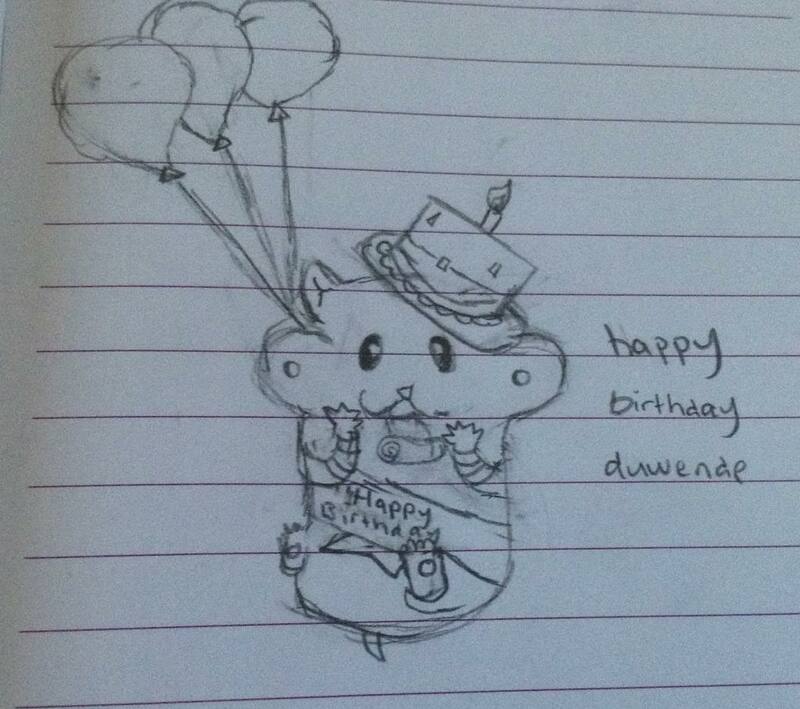 Haha, happy birthday Duwende is awesome. love the artwork! Would it be ok to post my own art wall like I did on the espercorp forum? Leafpool wrote: love the artwork! Would it be ok to post my own art wall like I did on the espercorp forum? Definitely! I'll still be looking for artwork to display on the website too.